CogniFit is recognized by the scientific community and has been published and reviewed independently in several scientific publications. All our brain fitness solutions are clinically proven. This study shows highly encouraging results for individuals with Intellectual and Developmental Disabilities (IDD). First, participants using the CogniFit personalized brain training program presented a clear trend for cognitive improvement. Second, 100% of these participants completed the program. CogniFit personalized brain training program significantly reduced depression levels and improved Shifting, Divided Attention, and executive control score in patients with unipolar and bipolar disorder. This study shows that lasting and personalized cognitive training is particularly indicated to generate combined cognitive and sleep enhancements in older adults with insomnia. CogniFit personalized brain training program improved cognitive function in healthy older adults with an average age of 80 years whereas physical and aerobic activity did not bring about any perceivable cognitive improvements in these subjects. CogniFit personalized brain training program is more effective than computer games in improving cognitive function in healthy older adults. The findings are evidence that cognitive training can significantly improve a wide range of skills in MS patients. Shatil E, Metzer A, Horvitz O, Miller A. - Home-based personalized cognitive training in MS patients: A study of adherence and cognitive performance - NeuroRehabilitation 2010; 26:143-53. This study shows significant improvement in the working memory and executive function of healthy older adults using the CogniFit personalized brain fitness program. People who played computer games showed an improvement in performance, but for people who used CogniFit personalized brain training program, the improvement was significantly greater. Presented at the 10th International Hong Kong/Springfield Pan-Asian Symposium on Advances in Alzheimer Therapy on February 28, 29 - March 1, 2008; Hong Kong. Sedentary seniors with slow gait and falls improved mobility after cognitive training remediation using CogniFit personalized brain training program. Verghese J, Mahoney J, Ambrose AF, Wang C, Holtzer R. - Effect of cognitive remediation on gait in sedentary seniors - J Gerontol A Biol Sci Med Sci. 2010 Dec;65(12):1338-43. When dyslexic college students trained with CogniFit personalized brain training program, their brain activity, memory and reading performance were shown to increase significantly, and results lasted up to six months after training on dyslexia. By using the CogniFit assessment of cognitive skills, this study implies that insomnia may have detrimental effects on some cognitive functions in healthy older adults. Haimov I, Hanuka E, Horowitz Y. - Chronic insomnia and cognitive functioning among older adults - Behavioural sleep medicine 2008; 6:32-54. The CogniFit computerized neuropsychological evaluation was successfully validated in a holistic e-health model of cognitive, physiological and functional wellness in older adults. Pilot fatigue represents one of the top problems and threats to the safety and effectiveness of military and civil transportation. The US navy uses a CogniFit cognitive assessment to predict cognitive fatigue in pilot and decrease fatigue's negative impact on safety. 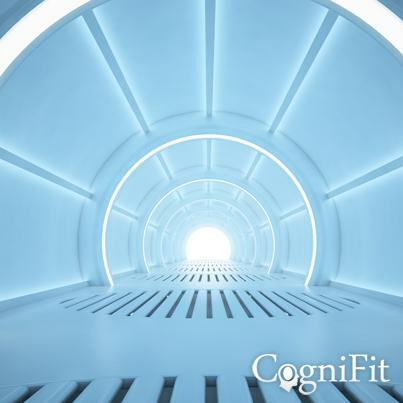 This study confirms that CogniFit brain fitness solutions can assist in promoting healthy brain aging but warns that most brain training programs from the competition have little or no evidence backing up their claims to improve brain function. After reviewing close to 8,000 studies, reviewers stated that CogniFit possessed the highest level of evidence showing concrete effects of brain training in healthy aging. Scientists from the Gjøvik University College, Norway, presented a generic taxonomy of serious games for dementia, based on the health functions and the health purposes they serve. They classified CogniFit as a cognitively preventative game for dementia, i.e. a serious game that keeps the player cognitively active and slows down dementia's symptoms.